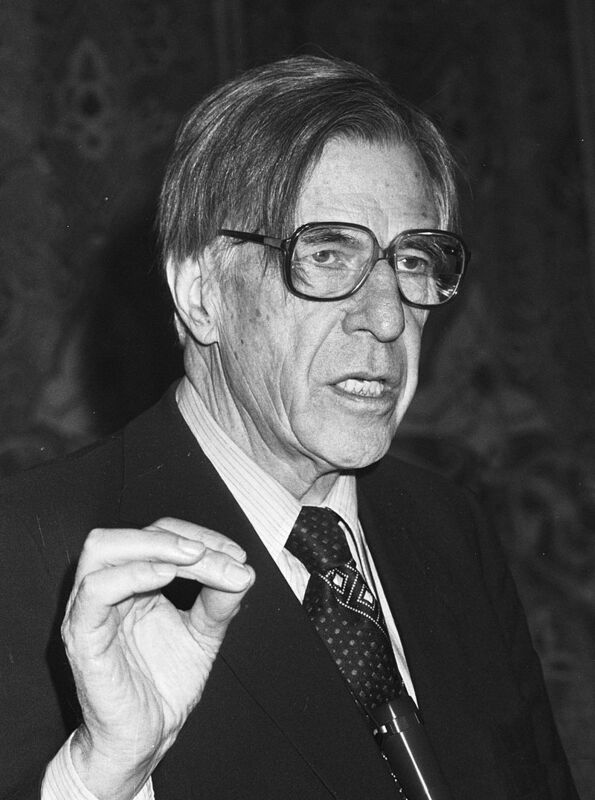 Raised in Toronto, Galbraith did his advanced work in economics in the United States and served as an adviser to President John F. Kennedy as well as his ambassador to India from 1961 to 1963. Galbraith challenged conventional economic wisdom by calling for less consumer spending and more spending on government programs. His policies shaped the Democratic agenda of JFK and Lyndon Johnson and contributed to the modern concept of the American welfare state.